When guitarist Roberto Priori started the Italian band DANGER ZONE in the early 80s a long hard road lay ahead of them. In 1984 they released the LP “Victim Of Time”. In the spring of 1988 DANGER ZONE eventually opened up for Heavy Metal legends Saxon in Verona, Italy and following the performance promoter and manager Francesco Sanavio offered DANGER ZONE a production deal which included the plan to break into the US market. Almost a year later in May 1989 the new album "Line Of Fire" began to take shape when executive producer Stephan Galfas (Meat Loaf, Savatage, Stryper, John Waite and Saxon) got involved and his colleagues Jody Gray and Mark Cobrin, both successful with the Japanese Hard Rock outfits Loudness and EZO, took over the production duties. Due to adverse circumstances the finished album got shelved at first, but as the years went by "Line Of Fire" reached an underground cult status when Rock magazines, fanzines and dedicated fans of the band continuously demanded its release. Finally in 2011 the "Line Of Fire" CD saw the light of day through a German label. The band already got back together in 2010. In the year 2012, the guys released their follow-up album “Undying” and played several gigs in Italy. To promote this release, the group played several shows in Italy and some Summer Festivals. In March 2014 they released a single and a video of the E.Z.O. 's song "Fire Fire", a tribute to a legendary Japanese band of the 80's, and introducing new bass player Matteo Minghetti for live duties but still featuring Roberto Galli for recordings. While keeping playing live, Danger Zone started to work on the compositions for a new album. The sound now turned out to be more melodic than before so they decided to add Pier Mazzini (Perfect View) and Whitesnake's Michele Luppi on keyboards. In Summer of 2015 the Italians started the recordings with Roberto Priori and Jody Gray producing at the PriStudio in Bologna; as before the engineering duties were handled by Roberto himself. The whole album has a very positive energy and attitude. Hard Rock and AOR were mixed together and as a result, the band feels even better presented than it was never before. 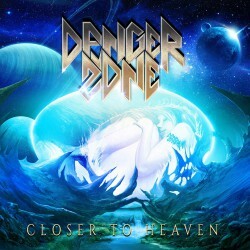 That’s why they decided to call the album "Closer To Heaven", it marks a step towards their own identity and sound. The band is currently rehearsing with the added guitar player Danilo Faggiolino to get ready to bring this new chapter of the band on the road. Stay tuned!